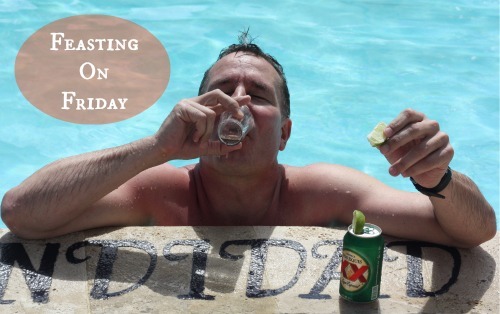 I'm back again today — albeit from beautiful Cancun, Mexico, rounding up all the best morsels I crossed paths with this week. -Tumblr to follow: An early morning walk. -8 Chapters of Ramen — a short video that may surprise you in more ways than one. -I was so excited to have my Hungarian Spatzel photo featured as #32 of BuzzFeed's 33 Hungarian foods the World Should Know. I also see a few I have not yet tackled here on the blog and need to get busy! -So your going to a crawfish boil and you are not sure how to eat one? Here's a quick crawfish eating video to help! -Do you have KitchenAid Stand Mixer? If you're like me and love a good info-graphic, find out just how many attachments you could buy. -Cupcakes that are almost too perfect to eat. Hey! I'm on vacation so you may or may not see a post next week but what you can do is follow me on Twitter and Instagram, as I'm sure to be checking in from the sunny beaches of Mexico.